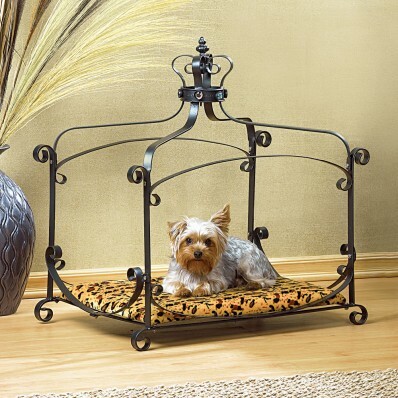 animal-print velvet, this lavish bed is the "purr-fect"
place to pleasingly pamper your four-footed friend! right to be all their own - no humans allowed! 1/4" x 18" x 27 1/2" high.